These goblins sound like our friendly neighborhood MPAA/RIAA lawyers! In 1978, 20th Century Fox studio sued Universal for “stealing 34 distinct ideas” from the then recently, immensely successful film “Star Wars”:http://www.galaxyfaraway.com to create “Battlestar Galactica”. This was one year after the release of _Star Wars_ and an old, hackneyed genre had just been revived. At the time, Universal said that _this is like the first Western movie ever suing the second one_. George Lucas visited the production of BSG and decided not to link his name with the law suit. 20th Century Fox, however, pressed on. Universal countersued with a claim that _Star Wars_ (particularly R2D2) was lifted from Universal’s own film _Silent Running_. Maybe it’s time for some descendant of the Brothers Grimm (the great-grandchildren Grimm?) to come knocking on Disney’s front doors with legal papers- suing them for every cent they’ve made since _Snow White_. A few major _Star Wars_ co-conspirators were major players on the original BSG production as well- John Dykstra, Dennis Muren- which also played a major part in the common “feel” to them both. Once all the charges of copyright infringement and the other legal elbowing have subsided, and once other modern space fantasies like Buck Rogers, Star Trek — The Motion Picture, Starcrash, and Flash Gordon have come out to keep Galactica company, it will be more evident that Galactica was innovative in many ways all its own — not the least of which is its courageous, almost carefree use of funds in the hope of bringing to the public a TV fantasy of unparalleled quality. 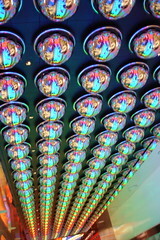 And some of the daring can be seen in things that neither zoom, blast, flash, or explode. When, since the days of the Untouchables, have we seen such exciting wholesale slaughter on our livingroom screens? And it happened during the very season when the networks have been bragging that at last they have censored physical conflict from the screen. The full extent of the ramifications of a successful Galactica on TV programming is yet to be seen, but it will certainly be interesting to watch. Ah, good old 1978. It was the best of time, it was the worst of times. Television bosses were actively censoring TV. Major studios were trying to control the fate of genre media. Journalists were hoping for a future that resembled a rose-tinted past. And beneath the surface, a vast array of creators were waiting to unleash their derivative works that had the potential to change the face of a genre, at the very least, and media in general if we were lucky. In short, it was a time much like today. I was in Vegas in April of this year and saw Cirque du Soleil’s Love– a truly magnificent tribute to The Beatles through their music and Cirque’s visual extravagance. The show opens with one of the last songs The Beatles recorded- “Because” for Let it Be. John Lennon is quoted as having said that the song is based on Moonlight Sonata by Beethoven. Listen to both, and you know he’s right. This got me to thinking about fair use. Would Lennon (or his lawyers) have risked it if the Sonata was still under copyright? There were “only” about 170 years between Moonlight Sonata and Let it Be, so in modern copyright terms, they were cutting it a little close. Think that’s a stretch? Remember, Rep. Mary Bono channeling Jack Valenti once asked Congress for “forever less one day” copyright terms. Note: I know that Lennon’s use would probably be ruled as fair use in a reasonable court of law. That is not the issue. The issue is that fear of litigation may have prevented Lennon (or his producers) from ever releasing “Because” in to the wild and ours would have been a poorer culture for that. When I had my idea for “a questionnaire for US Presidential candidates”:http://www.scienceaddiction.com/2007/07/09/geek-activism-questionnaire-for-presidential-candidates/ about issues important to geek activists like myself, I started reading up on the positions of the most popular candidates. Guess what? None of them talk about the issues that matter to us directly. Even the big ones like reforming the USA PATRIOT Act aren’t being touched with a 10-foot pole- no one wants to look weak on security, I suppose. At the same time, I have been thinking a lot about Lawrence Lessig. For those not familiar, after 10 years of leading the fight to protect a free culture among other things, “Lessig is stepping away”:http://lessig.org/blog/2007/06/required_reading_the_next_10_y_1.html to embrace a much broader issue- *corruption*. At first, this seems simplistic, naive. But in the end, isn’t that what it _all_ comes down to? Net neutrality, copyright laws and fair use, the MPAA/RIAA, the DMCA and all the other issues that lock consumers, fans, hackers and hobbyists in a cage where the key is sold to the highest bidder. 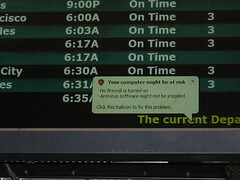 As a geek, these look like issues for _hacktivists_. In a broader sense, however, this is the oldest game in politics- the government serving the deepest pockets. I never promote as policy a position that I have been paid to advise about, consult upon, or write about. If payment is made to an institution that might reasonably be said to benefit me indirectly, then I will either follow the same rule, or disclose the payment. The key word is *never*. Not sometimes. Not with disclosure. Just, plain, never. If we have an answer for that- a workable, sincere one- then we have an answer not only for problems in hackland, but also in healthcare, in energy policy, in every major social issue of this land of plenty. * John Edwards’ “letter to the FCC Chairman”:http://johnedwards.com/news/headlines/20070530-fcc/ regarding the upcoming 700MHz auction. * John McCain on “Lobbying & Ethics Reform”:http://www.johnmccain.com/Informing/Issues/cb15a056-ac87-485d-a64d-82989bdc948c.htm and “McCain at Google”:http://googlepublicpolicy.blogspot.com/2007/05/mccain-talks-tech-policy-at-googleplex.html talking policy. Starbucks in Forbidden City: Closed! 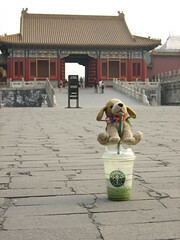 First of all- yes, there was a Starbucks in Beijing’s Forbidden City. Fortunately, there was a Starbucks in Beijing’s Forbidden City. It’s gone now after huge protests. Starbucks, which has nearly 200 outlets in China, opened the Forbidden City shop seven years ago and removed its brand sign two years ago to address cultural sensitivities. Here’s what it looks like on Google Maps. Yeah, no Starbucks inside 600 year old monuments. Sorry. More on the iPhone Hearings: Free the iPhone! The so-called “iPhone Hearings”:http://www.scienceaddiction.com/2007/07/12/the-iphone-hearings/ yesterday were entertaining and it seems they may only be the first shot fired on the issue of separating devices from the network. The folks at “FreePress.net”:http://www.freepress.net have set up “Free the iPhone”:http://www.freetheiphone.com as a ‘save the internet’ (net neutrality) and ‘save net radio’ type movement. The idea is to strike while the iPhone publicity peaks and the current 700MHz auction planned by the FCC rolls around. Also, since the FCC, Google and some “members of Congress”:http://www.scienceaddiction.com/2007/07/12/the-iphone-hearings/ seem to be showing interest in the idea of separating the Network from the Devices (“Delaminate the bastards”:http://www.hyperorg.com/misc/delamination.html says Weinberger) this seems to be the appropriate time to be pushing for separating the layers. Also, the folks at “Public Knowledge”:http://www.publicknowledge.org/node/1085 have a set of videos from the _iPhone Hearings_ including Rep. Ed Markey comparing the iPhone lock-in with Hotel California (_check out, but they can never leave_), Professor Tim Wu pointing out the tech gap between US and Europe in the wireless space, the Verizon General Counsel claiming that there is no consumer demand for delamination, and finally “Jason Devitt”:http://www.brash.com/ on the issues for small innovators in the business. Under the Sky Trust plan, all companies that bring burnable carbon into the economy would be required to buy permits for the carbon content of their fuels. Each year the number of permits would be reduced. Revenue generated from the sale of permits would be placed in a trust, managed by independent trustees. Earnings from the trust would be returned to U.S. residents as dividends and used for public investments that accelerate the transition to a low-carbon economy. I’m not sure giving Americans financial gain for pollution is the solution; I understand that taxing pollution is already being floated as an idea, but giving the average citizen a bigger check when pollution levels rise can’t possibly make him appreciate the seriousness of the situation. Of course, the idea of Sky Trust is a bit more nuanced, especially with the caps on total permits given to polluters which are reduced every year. The issue, however, is that if people get used to getting a $500 check every New Year’s day and all of a sudden that starts drying up, won’t the people be demanding a little more pollution? I may be underestimating the general populace and I may be misunderstanding Sky Trust- let me know, I’d love to see it work.